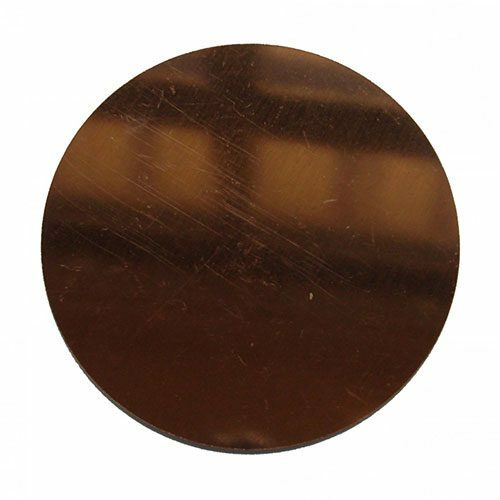 6 Inch Copper Bubble Cap Plate for flute still column. 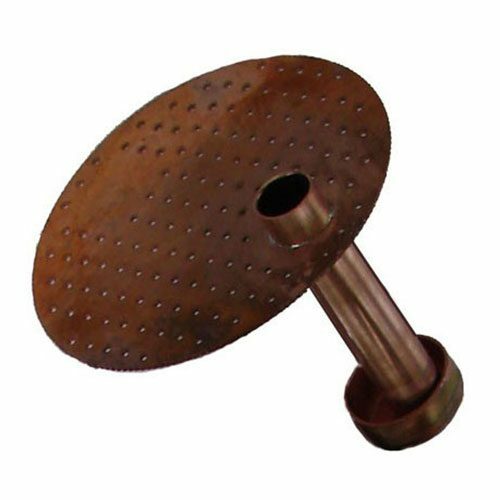 These copper bubble plates are used in a flute still column positioned between sections to help with separation of alcohol and waters. The alcohol water bubbles up on the plates allowing the distiller to see the action happening in the still column. More bubble cap plates in a column and a taller column with a reflux condenser or dephleg create a high percentage neutral spirit. 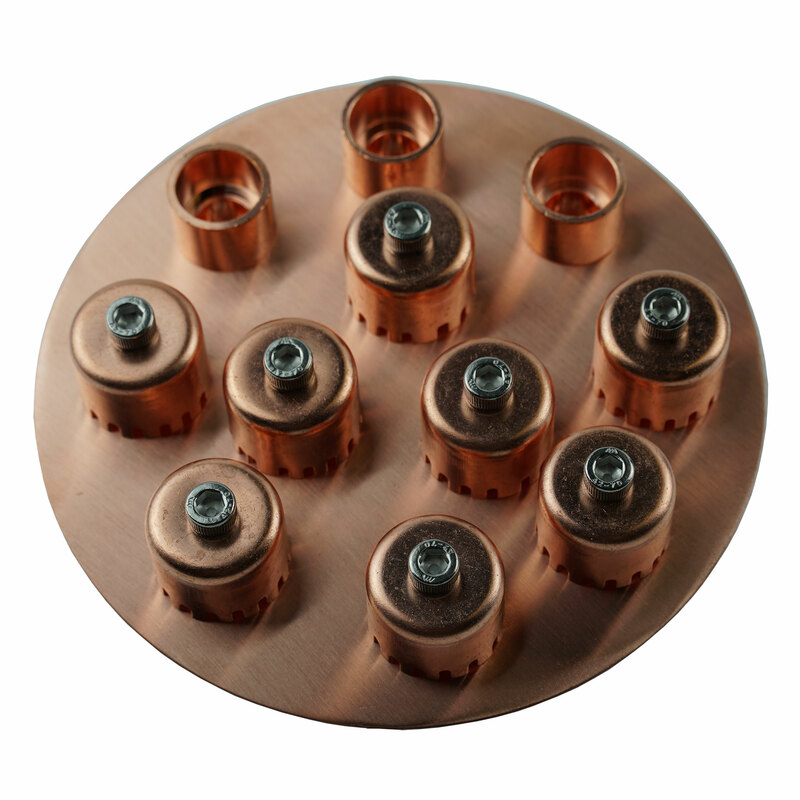 Copper bubble plates can be taken apart and cleaned with citric acid or mild acid solution. 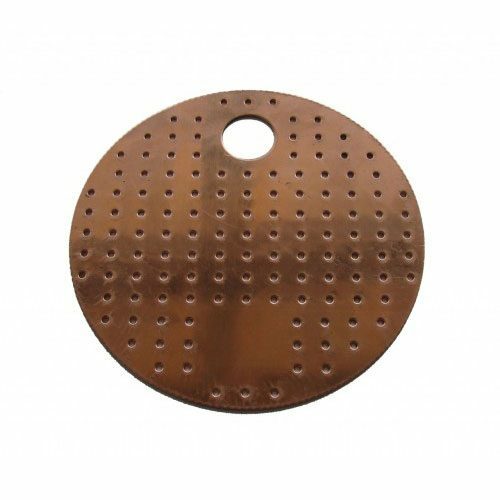 Want a simple plate solution for your flute still check out our 6″ copper perforated plates.